Just in time for back to school, I designed this handy sketch book cover! You can find it over at the Sew Mama Sew blog. 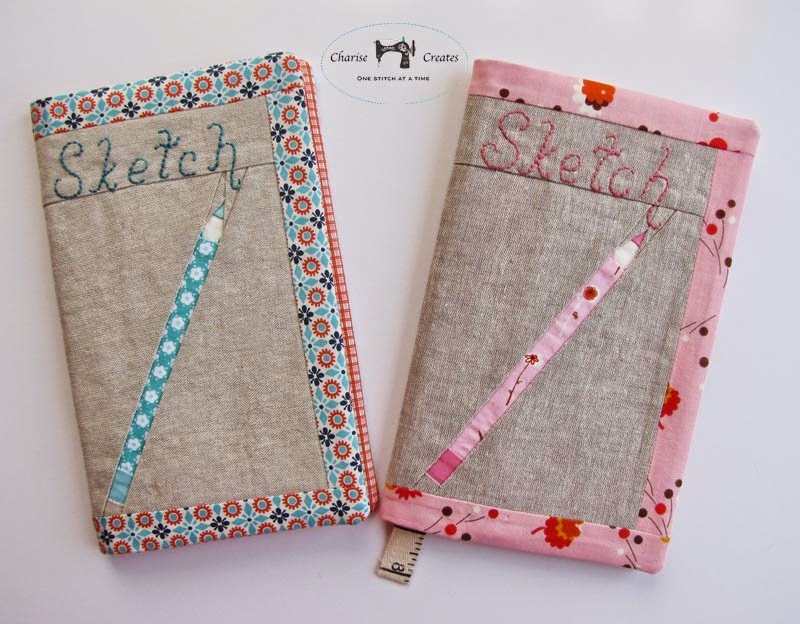 I love to have a sketch book in my bag at all times to jot down ideas or just to doodle! They are also great for list writing and immortalizing all your fabulous ideas! Since I change my bag often, I designed a sketch book cover that has a handy pocket on the back to keep your pen or pencils. There is nothing worse than wanting to write down or sketch an idea but not being able to find a pencil in your purse - which happens to me often. Thus the design for this handy sketch book cover! The cover has a paper pieced pencil and embroidery detail. 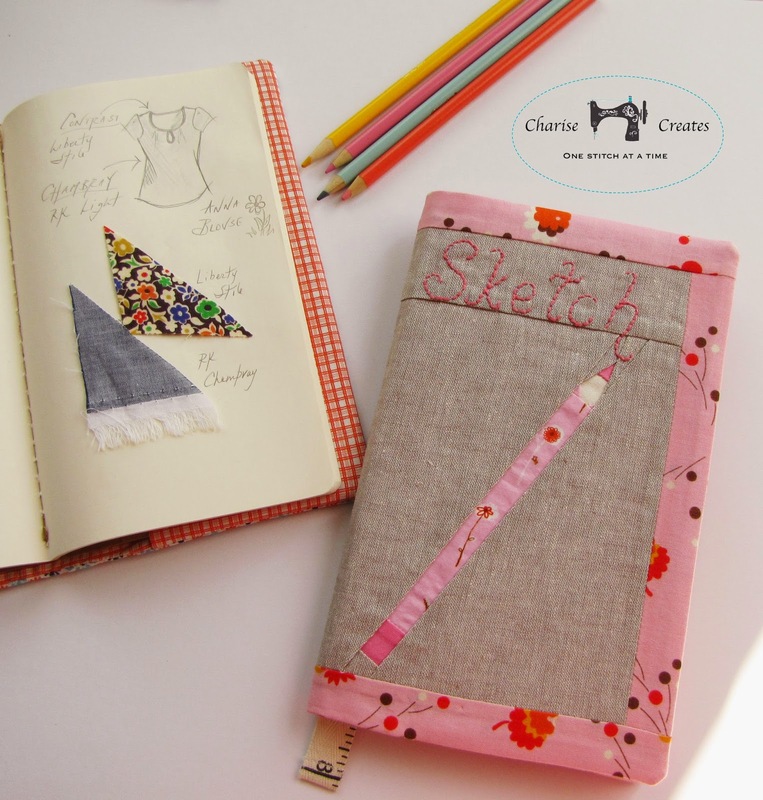 This is also a great project to make for young artists - a perfect portable sketch book with everything in its place! The handy pocket on the back has a velcro closure. 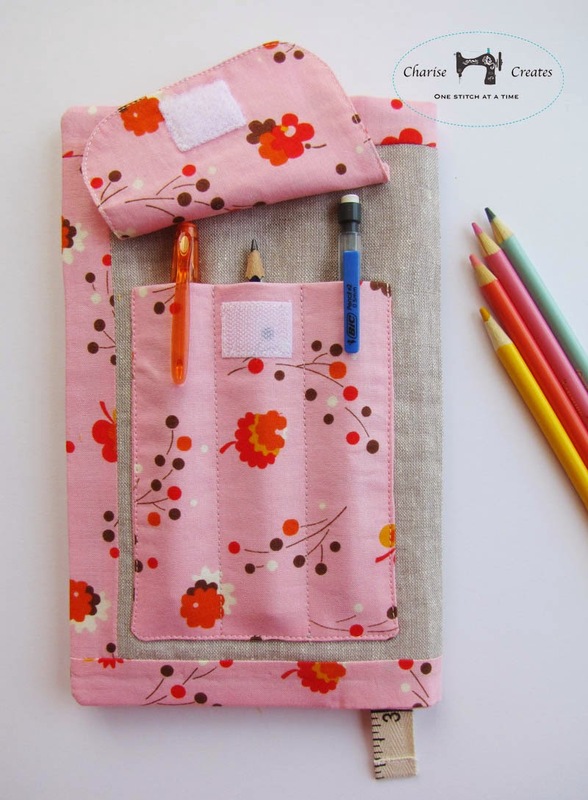 Perfect for stowing your favorite sketching tools. You can find the tutorial and pattern at the Sew Mama Sew blog! 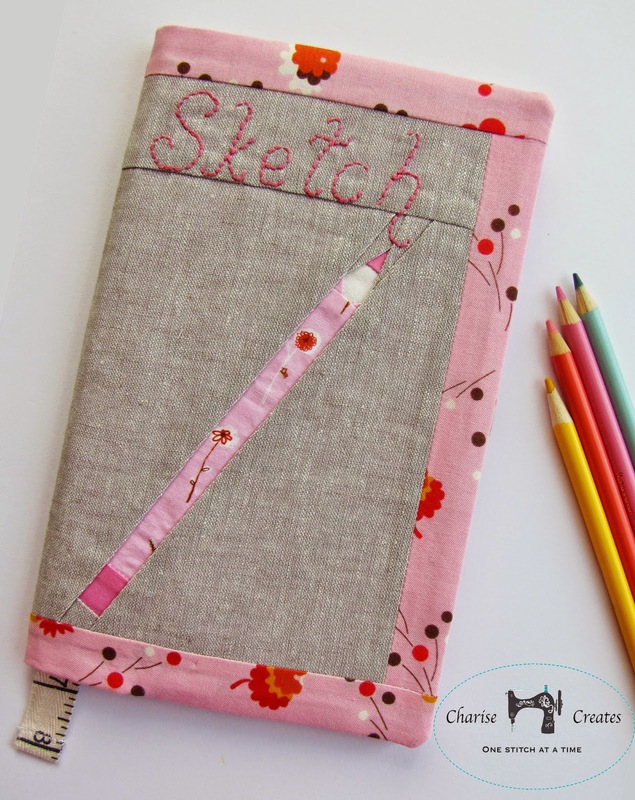 Great idea to Close the pocket at the back of the sketch book! These are so cute! Pinning this as I know someone this would be a perfect Christmas gift for. Very cute! I need to add this to my sewing to-do list! this is perfect. thank you for such a well-crafted tutorial.